Welcome to the second of our Research Roundups. These Friday posts aim to inform our readers about the many stories that relate to animal research each week. Do you have an animal research story we should include in next week’s roundup? You can send it to us via our Facebook page or through the contact form on the website. 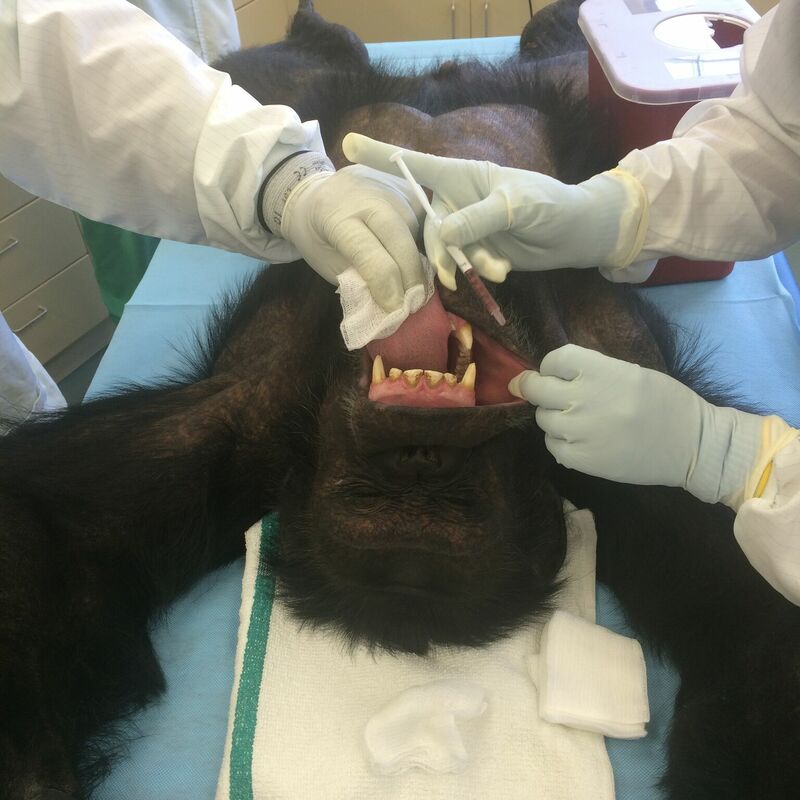 One of the captive chimpanzees in the research trial receiving the oral Ebola vaccination. Credit: Matthias Schnell, Thomas Jefferson University. A new compound, P7C3-A20, has been shown to prevent brain cell death and to promote new cell growth in a rat model of ischemic stroke. Nearly 87% of all strokes are ischemic strokes. Strokes kill 130,000 Americans yearly, with someone in the USA having a stroke every 40 seconds and with a death occurring every 4 minutes. 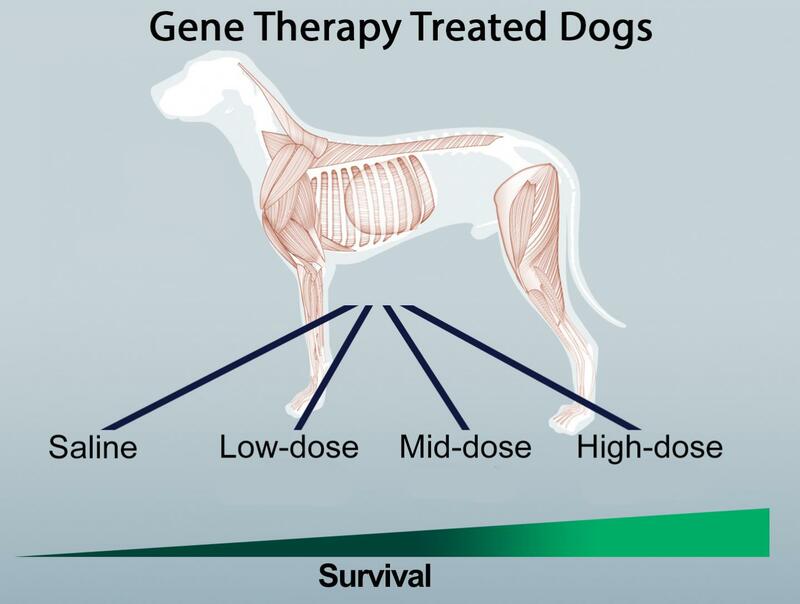 A new gene therapy, which aims to treat the fatal muscle-wasting disease, myotubular myopathy or MTM, has shown considerable success in dogs. Like humans, dogs naturally get this disease as a result of a genetic defect which tends to lead to breathing difficulty and early death. One year after a single gene therapy treatment, the dogs with the condition were indistinguishable from the control group. This offers huge promise for future human therapies for MTM. Results were published in Molecular Therapy. A team of scientists have prevented and alleviated two autoimmune diseases, multiple sclerosis (MS) and type 1 diabetes, in early stage mouse models. 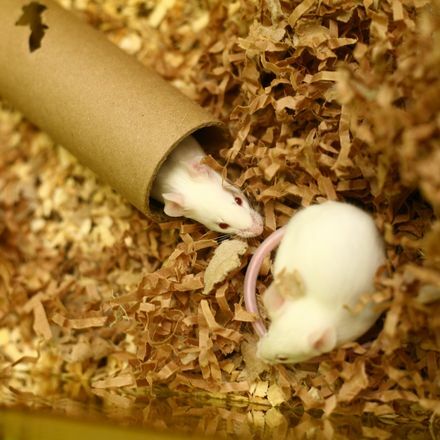 Autoimmune diseases affect an estimated 23 million Americans, and this research using mice highlights the importance of animal research in alleviating these debilitating diseases. A new study finds that Lactobacillus, a common bacteria found in yogurt, may be used to alleviate symptoms associated with depression in mice – providing hope for the 7% of the population that experience a major depressive episode at least once in their lifetime. The study was published in Scientific Reports. Image by Understanding Animal Research. Canadian animal rights group, Last Chance for Animals, has alleged mistreatment of animals at the Contract Research Organisation, ITR Laboratories. The footage was included in a CTV W5 news report. In response to the infiltration video, ITR Labs released a statement saying they had parted ways with a number of technicians seen inappropriately handling animals in the footage. The Canadian Council of Animal Care also released a statement explaining that an inspection of the ITR facilities was now being organized.